So what exactly is an RV lifestyle anyway? It can mean different things to different people. It might refer to camping trips, full-service tailgating, extended vacations or a seasonal home for the snowbird. Others think of it as fulltiming, a way to follow NASCAR races or some other hobby, traveling for workamper jobs or traveling for fun. And the list goes on… In fact, there is no list. The bottom line is that Your RV lifestyle is what you want it to be. And that’s really the point of this website. Simple steps on how to get the most out of RVing – in a style that fits you. It happened fast! Friends, family and co-workers were politely aghast. But it didn’t really happen in a flash. We didn’t just wake up one day and throw all caution to the wind. We had been preparing for our new adventure in RVing – long before we made the dramatic move. We knew what we wanted. We had spent plenty of time churning through lots of information. Trying to figure out where to start (and equally important, when to stop “trying to figure it all out”). So we offer our lessons learned and suggestions – whether you are just starting out, are back in the market for a new or used RV, or are a seasoned RVer looking for other perspectives on how to get the most out of your RV lifestyle. Continue that mental picture in your mind. The specific questions you ask yourself about your prospective RV lifestyle will depend on your circumstances. What are you going to use an RV for? How often? To go where? For how long? Will you stay in one place awhile or move every couple days? If you’re changing to a new RV, what do you want to be different? What has to be the same? Take a look at the variety available in RVs for sale. Are you looking for a change in rig or RV lifestyle? Are you considering upgrades or accessories (solar panel, awnings, RV furniture, camping supplies, the best tow bar)? What features are important to you? When do you want to do this? What time of year, at what point in the future, does it matter? Where are you going to keep the RV? Where do you want to go? How does the RV experience fit with other hobbies and interests you have or want to explore? Do you need to take golf clubs, bicycles, or fishing gear with you? How are you going to afford it? Why are you thinking of RVing? As your everyday lifestyle, or a family vacation, or a way to winter in warmer climates? 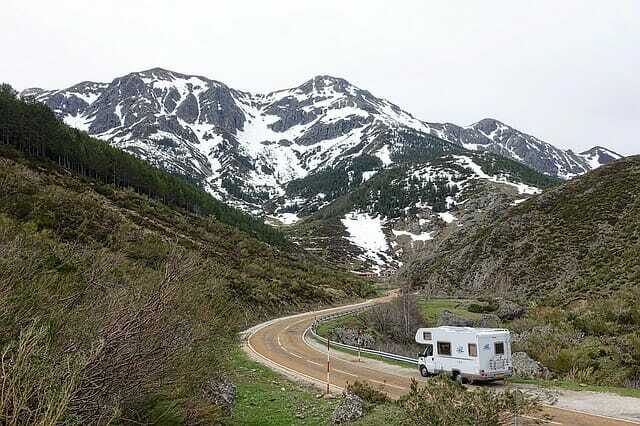 Is your RV lifestyle for retirement, for now, or a bit of both? Is the RV to make your NASCAR passion or tailgating more enjoyable? Is it to try something new and see if you like it? This is not a test. There are no right and wrong answers. Heck, you don’t even need answers at this point. But Asking yourself some questions starts momentum. It triggers possibilities. It gets ideas rolling around in your brain. Some conversations held with the people who are in this with you. Learn. You have probably heard the expression “Getting there is Half the Fun”. A perfect theme for the RV lifestyle itself. Well, it’s also appropriate in the context of checking things out. The learning about RVing, the anticipation – is truly half the fun. There is plenty to explore, none of it boring. Browse around this website for information and suggestions on many aspects of the journey and adventures. Key areas to check out: Types of RVs, Campgrounds, RV Buying, New vs. Used, Memberships, RV Lifestyles like Fulltiming, RV Costs, or our Top Ten. That’s a start! Another aspect that many would-be RVers want to consider is working on the road. Like many other RVers, we have incorporated workamping as part of our RV lifestyle. We like being able to stay active, enjoy travel and make a few bucks along the way. Even just browsing types of RVing gear will get you thinking. Whenever you can find a way to try something out, do so. It really helps you visualize the RV Lifestyle and it’s fun! Ways to get hands-on learning: RV Shows, RV Rentals, RV Clubs, RV products for you and your rig. Definitely try out a trip in a rental RV – one of the best steps we took in planning our RV lifestyle. So read and learn about RV living and Really Try It! By the way, don’t think you have to figure it all out. When we bought our motorhome, we sure didn’t know everything under the sun about how RVs worked or how we would live. But we had done our reading and tried things and talked things out. We were comfortable that we had our act together to make some key decisions. And now, we learn as we go – it’s part of RV living. And it all started when we took action. So, go ahead and ACT and enjoy your RV lifestyle.